For yet another year The American College of Greece had the pleasure of hosting the 23rd Panhellenic Youth Parliament by SAFIA Greece. University Students from all over Greece participated in a youth parliament that combined research, co-operation, presentations & a simulation of the parliament procedure. On March 15-17, 2019 The American College of Greece had the pleasure of hosting “International Law School Mediation Tournament”, organized by International Academy of Dispute Resolution (INADR). More than 250 law students from Europe, Asia, Canada & USA arrived on campus to compete in an international competition designed to help them understand the value of resolving disputes through mediation. Fifty four (54) teams from thirty (30) different countries got mediator training, had the opportunity to network with other students from around the world and the unique opportunity to introduce themselves in the world of mediation, which is critical to a successful professional practice after graduation. With the sole aim of promulgating individualistic, captivating thoughts and stories and under the “Once upon a Time!” extraordinary theme, this was a journey that showed how Time works differently for each one of us by making a conjectural journey into the future. Full of groundbreaking ideas and eye-opening speeches by fifteen (15) child speakers from all over Greece, adult speakers from Greece and abroad, STEM challenges, parallel workshops for parents and teachers, exhibitions and artistic events, plus an escape room, the 2019 TEDxKids edition broadened horizons, ignited thought and sparked conversations! The “Culture of Integration” by the EUNIC Cluster Athens project has been a response to the refugee crisis; it financially supported five targeted actions in the fields of “libraries, education and the arts” with the aim to contribute to the social and cultural integration of the newly- arrived people as well as to support the local receiving communities in coping with the corresponding challenges. These actions were designed and implemented by civil society organisations upon selection and funding by EUNIC Athens. The results of these actions will were presented in the final event as best practice examples aiming to raise awareness and to boost public dialogue on related issues. The 5th Adventure Film Festival Greece, the only one Greek film festival dedicated to the exciting world of adventure sports that comprises of cinematic movies, photography exhibitions and presentations, was hosted at Pierce – The American College of Greece, welcoming adventure sports professionals and enthusiasts who met, discussed, and found ways to further develop their much beloved activities. The 2nd World of Crafters was a meeting about creativity & enterpreneurship. Fifteen (15) succesful marketeers and enterpreneurs shared their inspirational stories, talked about branding & positioning, advised on taking photographs with simple devices, talked about sales techniqies and replied on questions about digital & social media promotion. Organised by ADHD Hellas Pan-Hellenic Association of Individuals with Attention Deficit Disorder, ADHD Hellas under the auspices of the Institute of Behavioral Research and Therapy. Coach at the Penn Adult Attention Deficit/Hyperactivity Disorder (ADHD) Treatment & Research Program at the University of Pennsylvania’s Perelman School of Medicine. It is an honor to be part of your journey! The “Education Unites: From Camp to Campus” initiative is an academic scholarship program for young refugees in Greece. 100 refugee students had the opportunity to attend classes at Deree – The American College of Greece from September 2017 to May 2018. Congratulations to all the students and wishes for a bright future! 20 delegates from Attica and other Western & Central regions of Greece as well as an international team of Officials gathered for a 4-day NSC in the capital of Greece. On Friday 30th March, Deree – The American College of Greece hosted their team building activities as well as the opening ceremony, when European Parliament Members Stelios Kouloglou & Konstantina Kouneva gave their opening remarks at John S. Bailey Library – Upper Level. On Friday, March 16, Deree Business Week 2018 was concluded with unprecedented high internal and external attendance. This year’s theme year was «Young Leaders Grow(ing) Greece» and was representing the trend of younger people in positions of responsibility in the corporate world. Students had the opportunity to participate in presentations and workshops featuring 31 speakers, including Declan Costello, Mission Chief for Greece at the European Commission. Business Week 2018 was organized by the Academic Societies of the Business School. On October 6-7, 2017, the CAPSELLA Acceleration Program 2018 took place at the Deree Faculty Lounge and was organized by the College Events. The event was addressed to students, PhD researchers, young scientists, agriculturists, developers, programmers, designers, engineers, finance experts, communication experts, marketeers, business women/men, farmers, entrepreneurs, entrepreneurs-to-be etc., as well as new technology enthusiasts, those excited by the development of innovative tools, solutions, applications, processes and new business models and those willing to participate in sustainable agri-food development. On Saturday, June 1, 2017, Deree Commencement 2017 was successfully concluded. Deree faculty, students, friends and families celebrated the new beginnings for our graduates. Deree Commencement is a ceremony honoring the hard work of our students throughout the years and expressing Deree’s appreciation for their devotion and achievements. A festival open to Deree students, faculty, alumni, and the Athenian crowd. Visitors had the chance to enjoy a multi-themed event, featuring a 60s prom party organized by six d.o.g.s., the Meet Market, a Tech Fair with the hottest names and the latest trends in technology and innovation, as well as cooking demos, wellness sessions, a tennis tournament, escape rooms, and more! On Saturday, November 5, 2016, The American College of Greece was honored to host the third annual StartSmart Greece conference, organized and produced by MIT Enterprise Forum Greece. The one-day conference aimed to connect and coach technology entrepreneurs with the objective to grow, refine, and nurture the Greek entrepreneurial ecosystem. – Sonny Vu, President & CTO of Connected Devices, Fossil Group, Inc.
ThinkBiz Academy, a two-day enterpreneurship conference organised by ThinkBiz, the first university student association in Greece and hosted by Deree-The American College of Greece, 12th & 13 Μαΐου 2017 in Athens. Lectures, workshops, people with innovative ideas, brought optimism, inspired, transmitted knowledge & experience. 35th National Selection Conference of the European Youth Parliament Greece was hosted at Deree – The American College of Greece, 7th-9th April 2017. A hundred and thirty (130) Greek high school students from Athens, Patra, Achaia, Aitoloakarnania, 54 European University students from Greece, Turkey, Armenia, Luxemburg, Spain, Italy, Holland, Serbia, Belgium and Austria as volunteers as well as a hundred and twenty (20) Greek highschool Teachers, joined forces for a memorable conference. An intensive, pre-accelerator, training and mentorship program for first-time entrepreneurs, organized by Reload Greece Foundation in collaboration with ALBA Graduate Business School and hosted by Deree-The American College of Greece, 5-9 September 2016. “Marketing as it should be: Human”. A fundraising conference organized by Direction and hosted by The American College of Greece, in support of medical expenses for Thodoris Tsemperoulis, a respected industry professional and beloved colleague of many, who is facing health issues. Proceeds of the conference will be given to the “ΦΙΛΟΚΤΗΤΗΣ” rehabilitation center for covering Thodoris Tsemperoulis’s treatment expenses. In March 2016, The American College of Greece hosted the exhibition “Overseas” in the ACG Art Gallery as part of the Arts Festival 2016, organized by the Deree Frances Rich School of Fine and Performing Arts. Video by Jennifer Nelson and Dimitri Kotsaras. On Friday, June 3, 2016, Deree hosted the Business Talents Greece 2015 2016 Final competition. The annual innovative competition provides university students and alumni with the opportunity, through a Business Simulator, to manage a business with their team and to practice and develop decision-making skills. For the fourth year in a row, Deree – The American College of Greece hosted the Hip Hop International Dance Championship Greece/Cyprus 2016 on Saturday, April 24 in a packed Deree Gym! Watch the best moments of the competition! Crews from all over Greece & Cyprus contested in front of internationally acclaimed dancers & choreographers to win & be the next crew to compete in the Hip Hop International Final Competition 2016, in Las Vegas. On Monday, November 16, the American College of Greece hosted the ALS Worldwide Town Hall Meeting in the PIERCE Theater. It is an honor for the College to host such an initiative and, by extent, to support the Greek and international ALS community. A community that endures a horrific disease, and yet comes together globally with warmth, in tremendous support of one another. ALS/MDN is the complex and multi-faceted disease of Amyotrophic Lateral Sclerosis or, Motor Neurone Disease. The event was held in the style of a true town hall meeting, including members of ALS Hellas Association, and the wider ALS community in Greece, with the audience extending globally, through the live-streaming of the evening. It is important to note that this event was of specific importance, as is it harder for the Greek ALS community to gain access to such information and support. Winner in diving and living: The Olympic gold medalist Greg Louganis visited The American College of Greece and gave an HIV/AIDS awareness lecture, on Thursday September 17, 2015 at PIERCE Theater. He talked about fighting the demons of prejudice, his coming out and the rights of HIV positive individuals to lead a creative life. More than 300 undergraduate and graduate DEREE students from 17 countries received their degrees and joined the ranks of 40,000 American College of Greece (ACG) alumni. Congratulations, DEREE class of 2015! Dimitrios Pandermalis, a Professor of Archaeology at the Aristotle University of Thessaloniki, supervisor of the Archaeological site of Dion, Pieria and curator of the new Acropolis Museum was awarded with the honorary degree of Doctor of Humane Letters. DEREE- The American College of Greece celebrated the graduation of the classes of 2014 with a spectacular Commencement ceremony, at the Aghia Paraskevi campus. Linda P.B. Katehi-Tseregounis, a Greek-American engineer and university administrator, who, since 2009, has served as the sixth chancellor of the University of California, Davis, was awarded with the honorary degree of Doctor of Science. DEREE- The American College of Greece celebrated the graduation of the classes of 2013 with a spectacular Commencement ceremony on June 29, 2013. George Michael Logothetis, an international businessman, chairman and CEO of the Libra Group, was awarded with the honorary degree of Doctor of laws. George Logothetis, chairman and CEO of the Libra Group, addresses the 2013 graduating class of DEREE — The American College of Greece, in Athens on June 29, 2013. During the ceremony, Mr. Logothetis received an honorary degree from DEREE – The American College of Greece. Highlights from the spectacular Commencement Ceremony held on June 30, 2012 at DEREE- The American College of Greece to celebrate the graduation of the Class of ’12. Niki Goulandris, a Greek philanthropist, current vice-president of the Goulandris Natural History Museum and Goulandris Museum of Cycladic Art, was awarded with the honorary degree of Doctor of Humane Letters. Theodore Papalexopoulos, former President of the Federation of Greek Industries (SEB) was awarded with the honorary degree of Doctor of Laws. Peter Thun, Chair to the ACG Board of Trustees (2003-2011) and President of Thun Holdings, was awarded with the honorary degree of Doctor of Laws. 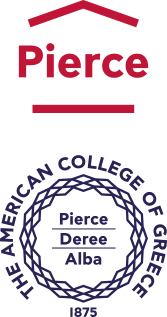 On June 26, 2011 more than 500 members of the graduating classes of DEREE – The American College of Greece, representing 20 countries, received their undergraduate and graduate degrees from ACG President David G. Horner. More than 4,000 relatives and friends filled the bleachers of the College stadium on the Aghia Paraskevi campus. European Ombudsman Nikiforos Diamandouros, President Carol T. Christ of Smith College and U.S. Ambassador to Hungary Eleni Tsakopoulos Kounalakis, were awarded honorary doctorates for service to education and public life. Two graduate and four undergraduate students were honored with awards for academic excellence during the ceremony, which ended with the traditional academic caps thrown into the air by enthusiastic and cheering graduates. On June 26, 2010, DEREE-The American College of Greece celebrated the graduation of the classes of 2010 with a spectacular Commencement ceremony. Marianna Vardinoyannis, an UNESCO ambassador, founder of the Foundation for the Child and the Family, President of the Elpida (English: Hope) Association of friends of children with cancer and “Woman of Europe” , was awarded with the honorary degree of Doctor of Humane Letters. Andreas Tzakis, MD, PhD, Professor of Surgery and Chief of the Division of Liver and Gastro-Intestinal Surgery at the University of Miami Miller School of Medicine, was awarded with the honorary degree of Doctor of Science. On January 19, 2010 the American College of Greece hosted the actress Olympia Doukakis on the lecture “A Woman’s Story: A Conversation With Olympia Doukakis”. Olympia Doukakis (born June 20, 1931) is an American actress. She has won an Obie Award for Best Actress in 1963 for her Off-Broadway performance in Bertolt Brecht’s Man Equals Man as well as an Academy Award, a Golden Globe, and a BAFTA nomination for her performance in Moonstruck. Ms. Doukakis share her personal stories including her experience as an educator. The lecture is introduced by Giannis Vouros, former Member of the Greek Parliament and actor.